This month , Waterfront Properties of Maine introduced a new service on their website www.WaterfrontPropertiesOfMaine.com. 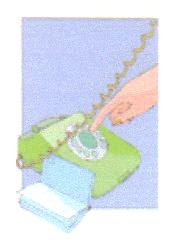 Named "Call on Click", it provides visitors to the website with "Live Help" in the form of a free 800 phone service which, when clicked, connects them immediately to our office. (during business hours). For the 4th of July weekend, we usually try to take the kids boating or camping or to the Thomaston parade and fireworks display. Fortunately, we live on Sennebec Pond, where one family or another almost always puts on a home-grown fireworks show. This year, the folks at Lake Sennebec Campground , just up the lake from us, put on quite a big show for their campers (and the rest of the lake's residents). which our yellow lab, Cody, seemed to thoroughly enjoy. This event is held at Harbor Park in Rockland, overlooking picturesque Rockland Harbor. Some of the top names in blues music are featured here. The Saturday lineup features Lil' Dave Thompson, Andrew Jr Boy Jones, Sugar Blue, Lurrie Bell, Ruthie Foster, and Roger Trout, plus many others at Saturday night's downtown pub crawl. The Sunday lineup features Melvia "Chick" Rodgers, Wayne Baaker Brooks, Janiva Magness, Rod Piazza and Elvin Bishop. Roger "Hurricane" Wilson will perform between sets an both days. 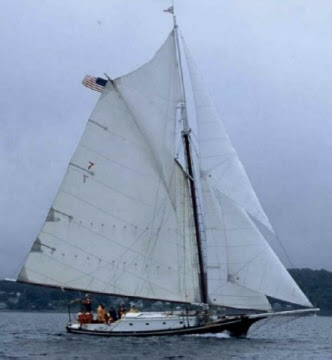 Friendship sloops, the original Maine lobstering boats (circa 1890-1920) sail from all over the East Coast to arrive in the Rockland harbor on July 16th for 3 days of racing, with lots of fun before, during and after. There will be BYO barbecues, rowboat races for kids and adults, dockside gatherings where you can get re-acquainted with old friends and meet new ones, with advice and sea stories exchanged. If you do not own a boat, there will be boats looking for crew if you want to race. For more information about this event and Friendship Sloops in general, go to www.FSS.org. 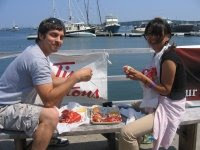 The Maine Lobster Festival is North America's premier event for all things lobster. The focus of the festival is eating 20,000 pounds of hot Maine lobster under an Eating Tent while viewing Penobscot Bay. Other activities include the Big Parade down Rockland's main street, lobster crate races, coronation of the Maine Sea Goddess, a 10K road race, loads of activities and competitions for the kids, and non-stop music for every taste -- jazz, oldies, celtic, reggae, folk, blues -- with this year's headliners being Suzy Bogguss, Jamie O'Neil and the Lou Gramm Band. For further information visit www.mainelobsterfestival.com.